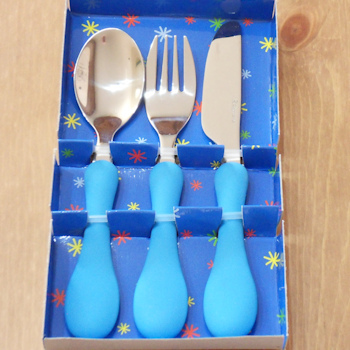 Childs learning cutlery set ages 3+. 3pc diner set of fork, spoon and knife with wide grip handles and reduced sharpness. Quality Rayware stainless steel. Blue design on handles to help make meal times fun.